Frank has had diverse research interests and consulting experience in industry and academia including clinical trials design, data monitoring, data standards, benefit/risk, real world evidence, cardiovascular research, and, most recently, safety and pharmacovigilance. He has been a leader in the scientific community in promoting data disclosure and transparency in clinical research. 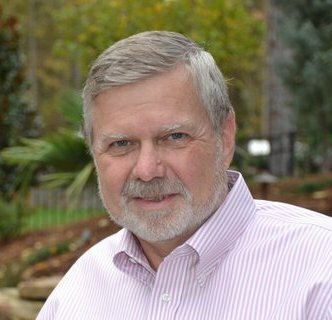 Frank is a full-time Professor of Biostatistics and Bioinformatics at Duke Clinical Research Institute and Managing Partner of HunterRockhold, Inc., which provides strategic consulting to Industry, Government, and Academia in the areas of clinical trials, pharmacovigilance, data disclosure, and transparency. His 40-year career includes senior research positions at Lilly, Merck, and GlaxoSmithKline, where he recently retired as Senior Vice President of Global Clinical Safety and Pharmacovigilance. He has held faculty appointments at 6 different universities. Frank served for 9 years on the board of directors of the non-profit CDISC, most recently as Chairman, and is past president of the Society for Clinical Trials. He is a member of the PCORI Clinical Trials Advisory Panel and is on the board of the Frontier Science and Technology Research Foundation. Frank holds a BA in Statistics from The University of Connecticut, an ScM in Biostatistics from The Johns Hopkins University, and a PhD in Biostatistics from The Medical College of Virginia. Frank is a Fellow of both the American Statistical Association and the Society for Clinical Trials and an Accredited Professional Statistician, PStat®. He is widely published in major scientific journals across a wide variety of research topics. Led the development of the world’s first protease inhibitor for AIDS from clinical trials to market. ICH Expert Working Group (E10) on Choice of a Control Group. Rockhold, F., P. Nisen, and A. Freeman, Data Sharing at a Crossroads. New England Journal of Medicine, 2016. 375(12): p. 1115-1117. Berlin, J.A., et al., Bumps and bridges on the road to responsible sharing of clinical trial data. Clin Trials, 2014. 11(1): p. 7-12. Chan, A.W., et al., SPIRIT 2013 statement: defining standard protocol items for clinical trials. Ann Intern Med, 2013. 158(3): p. 200-7. Nisen, P. and F. Rockhold, Access to patient-level data from GlaxoSmithKline clinical trials. N Engl J Med, 2013. 369(5): p. 475-8. Rockhold, F. and S. Bishop, Extracting The Value of Standards. Clinical Evaluation, 2012. 40(1). Rockhold, F.W. and G.G. Enas, 10 Years with ICH E10: Choice of Control Groups. Pharm Stat, 2011. 10(5): p. 407-9. Rockhold, F.W., A.J. Freeman, and C.A. Metz, Public disclosure of clinical trial results: a necessary step on the path to transparency and trust. Pharmaceutical Medicine, 2009. 23: p. 131+. Ghersi, D., et al., Reporting the findings of clinical trials: a discussion paper. Bull World Health Organ, 2008. 86(6): p. 492-3. Kush, R.D., et al., Electronic health records, medical research, and the Tower of Babel. N Engl J Med, 2008. 358(16): p. 1738-40. Rockhold, F.W. and S.J. Ruberg, ICH-E9 reflections and considerations. Pharm Stat, 2008. 7(4): p. 233-5. Metz, C.A., F. Rockhold, and A. Freeman, The GSK Clinical Study Results Database: Site Utilization Metrics for a Large Public Database. Drug Information Journal, 2008. 42(3): p. 247-252. Rockhold, F.W. and R.L. Krall, Clinical trials registration. PLoS Med, 2006. 3(3): p. e157; author reply e167. Rockhold, F.W., Requiring ‘independent’ statistical analyses for industry sponsored trials? Pharm Stat, 2006. 5(1): p. 5-6. Rockhold, F.W. and R.L. Krall, Trial summaries on results databases and journal publication. Lancet, 2006. 367(9523): p. 1635-6. DeMets, D., et al., Issues in regulatory guidelines for data monitoring committees. Clin Trials, 2004. 1(2): p. 162-9. DeMets, D.L., et al., Liability issues for data monitoring committee members. Clin Trials, 2004. 1(6): p. 525-31. Rockhold, F.W., Industry perspectives on ICH guidelines. Stat Med, 2002. 21(19): p. 949-57. Lewis, J., et al., The impact of the international guideline entitled Statistical Principles for Clinical Trials (ICH E9). Stat Med, 2001. 20(17-18): p. 2549-60. Rockhold, F.W., Strategic use of statistical thinking in drug development. Stat Med, 2000. 19(23): p. 3211-7. Knatterud, G.L., et al., Guidelines for quality assurance in multicenter trials: a position paper. Control Clin Trials, 1998. 19(5): p. 477-93. Rockhold, F.W. and M.R. Goldberg, An approach to the assessment of therapeutic drug interactions with fixed combination drug products. J Biopharm Stat, 1996. 6(3): p. 231-40. Martin, L.F., et al., Continuous intravenous cimetidine decreases stress-related upper gastrointestinal hemorrhage without promoting pneumonia. Crit Care Med, 1993. 21(1): p. 19-30. Rockhold, F.W. and G.G. Enas, Data monitoring and interim analyses in the pharmaceutical industry: ethical and logistical considerations. Stat Med, 1993. 12(5-6): p. 471-9. Rockhold, F.W., M.R. Goldberg, and W.L. Thompson, Beneficial effects of pinacidil on blood lipids: comparisons with prazosin and placebo in patients with hypertension. Pinacidil-Prazosin and Pinacidil-Placebo Research Groups, Lilly Research Laboratories. J Lab Clin Med, 1989. 114(6): p. 646-54.